There can be a few reasons why a screenshot wasn't able to be captured for your bug. If your business is on the Standard or Studio plan, you need to have the BugHerd browser extension installed to capture Screenshots. Need screenshots without the browser extension? Upgrade to our Premium plan or above. See our plans & pricing here. So if you've received a task without a screenshot attached then you should check with the person that reported it to verify that they have the browser extension installed. You can install the browser extension by going to https://www.bugherd.com/extensions and selecting your browser. If your site is protected by Basic Authentication, our Screenshot service won't be able to reach the URL (unless you use the browser extension). To enable screenshots in this case, you will need to add your Basic Auth Username & Password to your project in BugHerd. To do this, open your Project Settings by clicking on the ⚙️ icon. And then enable Basic Authentication as shown below. 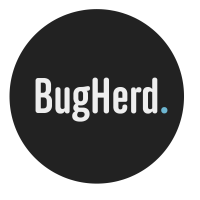 You can check the availability of BugHerd's underlying services at anytime at bugherdstatus.com. We sincerely hope this isn't the problem but if it is, rest assured our team is frantically running around the office trying to solve the problem as quickly as possible. 5. Maybe it's something else entirely? If none of the above have explained the problem then get in-touch with us on support@bugherd.com. We'll get to the bottom of it asap.